What did you think of Adding Mixed Time ? Play more Units of Measurement quizzes! 3. 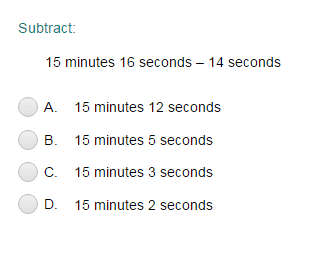 If the seconds are 60 or more, then, decrease the seconds by 60 and increase the minutes by 1. 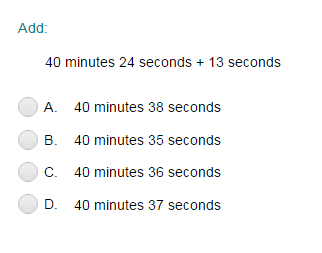 3 minutes 47 seconds + 2 minutes 23 seconds = ? First let's add the minutes. Now, notice that 70 seconds are more than 60 seconds. So, 3 minutes 47 seconds + 2 minutes 23 seconds = 6 minutes 10 seconds.